Once a timber pest inspection is completed, the pest inspector will provide a written pest report and recommend an appropriate course of action should timber pests be present. We offer clients a systematic inspection and comprehensive report which assesses the condition of over 300+ items throughout the property. Contact us to organize a fully comprehensive pre-purchase building/pest inspection today. Why Choose Panoramic Pest Control for your Pest Inspections in Melbourne? 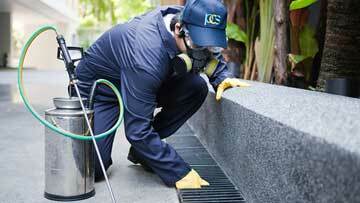 Panoramic Pest Control are your local pest control specialists in Melbourne. We remain client focused and pride ourselves on being able to find a solution that suits our clients, the building design and the type of issue suffered by the building without compromising on quality. Contact us today for your termite and pest inspection. Panoramic Pest Control were very professional and efficient. We no longer have termite problems in our home. Nick looked after our termite problem and we’ve had no issue since. Fantastic, friendly service, I would highly recommend!